Mon: 3 p.m. to 5 p.m.
On the A13, take exit 7 Rijswijk Centrum. At the third traffic light you turn left (Rotterdamseweg). Turn right at the next traffic lights (Laan van Oversteen) and immediately turn left onto Laan van Vreedenoord. You drive up this road and at the water (De Vliet) you turn right into the Jan Thijsenweg, after about 1 km it becomes Westvlietweg. Take the Leidschendam exit (8). Go straight on at the first traffic light (direction Leidschendam-zuid). From the A12 take the Prins Clausplein in the direction of Amsterdam (A4). Then immediately take exit 8 Leidschendam. At the first traffic light you turn right (over the A4). At the next traffic light you turn right (direction Leidschendam-zuid). * After about 500 meters at the next traffic light (Westvlietweg) turn left towards Voorburg. 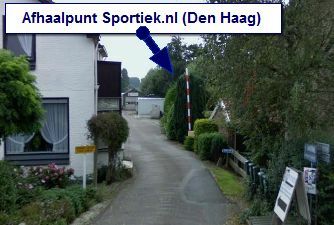 This road runs along the water (De Vliet).